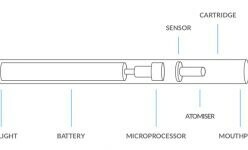 All e-cigarettes are powered by batteries located inside the e-cig itself and can be charged and recharged multiple times. (Which is why here at blu, we call our batteries “rechargeable devices”.) 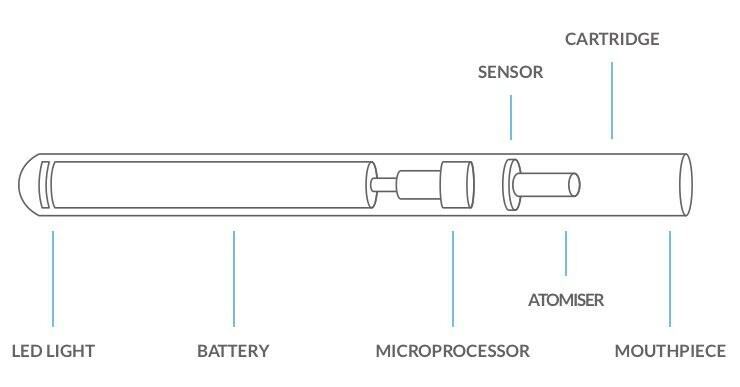 The mechanics of an e-cigarette battery are simple: the battery powers the coil inside the clearomiser, which is then heated to convert the e-liquid into vapour. This vapour is then inhaled by the person using the e-cigarette. If you’re curious as to how e-cigarette batteries work, look no further! Here we’ll go through a few of the key points on how your battery powers your e-cig and how you can make sure you look after it as best you can. What Are E-Cigarette Batteries Made From? Most e-cigarette batteries (including blu rechargeable devices) are lithium-based. Lithium batteries tend to hold a charge for much longer than other types of batteries, and e-cig batteries are no different in this regard. Lithium batteries are also used in a number of different everyday items such as cameras and clocks. The battery itself is turned on either with a button or via a motion sensor. It is sometimes attached to a smart chip which detects usage and activates the heating coil as well as an LED light at the tip of the e-cig. The same LED light can also be activated by the chip when the battery is low, and some e-cigs will flash or pulse when this is the case. Most batteries are recharged using a USB charging cable rather than a device-specific plug. The simple answer is that it depends. Generally speaking, the larger the battery, the longer it will last. However, it’s also important to remember that your e-cig will still need to be fully charged for it to last as long as possible. The battery needs to be used fairly frequently to enable it to hold the maximum charge. Most e-cigarettes will use one of two different types of battery: automatic or manual. Automatic batteries are fitted with a pressure sensor that detects when you start vaping and will turn on when you inhale. Manual batteries are activated by holding down a button on the side of the e-cigarette. These types of batteries usually need to be switched on by pressing the battery when you inhale. Although there is no necessity for either to be bigger or smaller, automatic batteries tend to be slightly smaller and manual batteries are usually larger. For this reason, vapers who like to use their e-cigs for longer periods of time between charging tend to opt for e-cigarettes with manual batteries. Some people also prefer manual batteries as there is less of a delay when inhaling the vapour. As you can start pressing the button before you inhale, you can give your e-cig time to produce the vapor before inhaling, whereas automatic e-cigs only start producing vapour after you’ve started inhaling. However, the delay is only slight and usually lasts between 100 to 200 milliseconds, and the majority of people who use automatic batteries are accustomed to this pause when vaping. If you want more tips on how to look after your e-cigarette battery, check out our video on E-Cigarette Battery Maintenance.